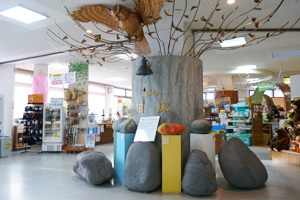 Shiretoko nature foundation is managing the shiretoko national park nature center. 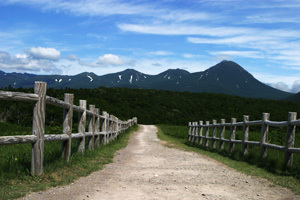 Shiretoko National Park Nature Center is located at the entrance of the Shiretoko National Park, Hokkaido, Japan. 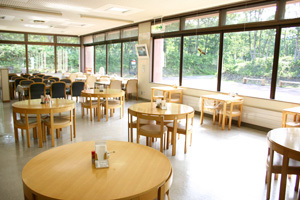 It not only serves as an information center for the park visitors but also facilitates your enjoyable stay in Shiretoko. No visit to the Shiretoko would be completed without experiencing the 12 m by 20 m giant screen presentation of "Four seasons of Shiretoko", shown at MEGA SCREEN KINETOKO that is the only way you can, in just 20 minutes, get an overview of the spectacular vistas, and hidden pristine land experiences not available on any tour. Any question in experiencing Shiretoko? 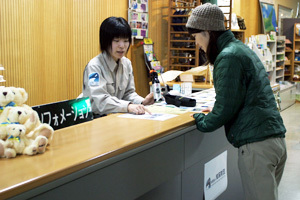 English speaking staffs are available at the Shiretoko Nature Center and they would answer any questions about nature, how to get around, traffic information, and activity options in Shiretoko. Quick lecture as to how you should react to the bear encounter is also available. We have not only the wide variety of local souvenirs but also basic outdoor gear for hiking in Shiretoko. Good selections of guide books are also available at the information counter. Anti-bear splay and Anti-bear food container are available for rental at the reasonable price. Snacks, light meals, sweets and variety of soft drinks are available all day. The only restaurant you can find in the Shiretoko National Park. 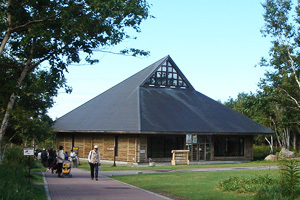 This memorial hall of famous Japanese forest trust is open to public for free. 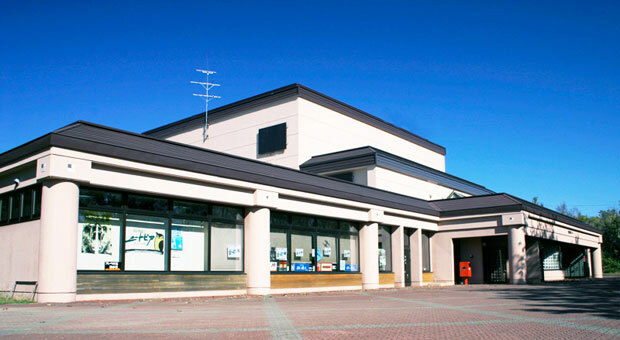 You can learn the history and on going forest restoration projects in Shiretoko. In this 2 km trail, you can see the great sea cliffs and waterfall. You may have chances to see wild animals such as deer, birds and foxes. Copyright © Shiretoko National Park Nature Center. All Rights Reserved.